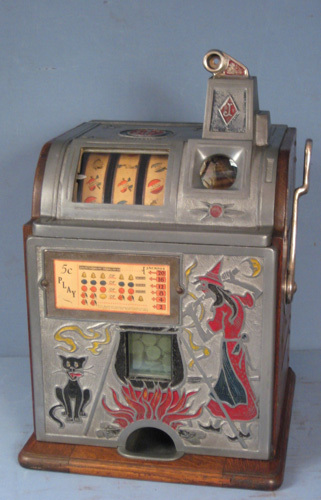 I have a 3 reel mech from a Bally EM slot machine in very clean good condition for sale. I don't know exactly which model it came out of, but it is late 60's or early 70's. I have pictures available for any interested parties. I'm asking $50 for it, plus shipping, or local pickup in Vero Beach Florida. I can be reached at 772 532-9979, or email at georgeshelton@ymail.com.